Haunted By Waters is a group of bay area musicians and artists who have created an exciting and powerful blend of music which is truly -cross cultural. Fusing together sensual Middle Eastern melodies, Celtic vocals, driving rhythms, & soaring synth sounds, "Like the Dust" is a unique album which celebrates spirit, unity and diversity. The music of Haunted By Waters is built on a primal and infectious rhythmic background of Middle Eastern, African, and Celtic rhythms and percussion. Weaving in lush vocals, rich melodies and harmonies, and sensuous electronic textures, they create a progressive, entrancing world sound. Add fretless electric bass, textural and distorted electric guitars, acoustic guitar, synth and sampled sounds, as well as didgeridoo, tin whistle, conch shell, electric violin, and flute and you have a powerful, evocative sound. At once ancient and futuristic, Haunted By Waters seamlessly combine a galaxy of diverse influences and instrumentation into a cohesive and moving soundscape. Co-founder and guitarist David Hannibal has been working with synthesizer and sampling technology for many years for companies such as E-mu Systems, Oberheim, and Q-up Arts. 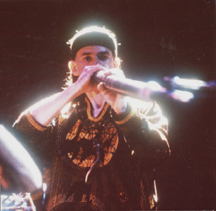 His sampling work can be heard on recordings by XTC and Fishbone; in prime time television series ; and in major motion pictures (Batman, Bram Stokers Dracula). He also composed the soundtrack for a feature film by Roy Finch called "Follow Me Home". 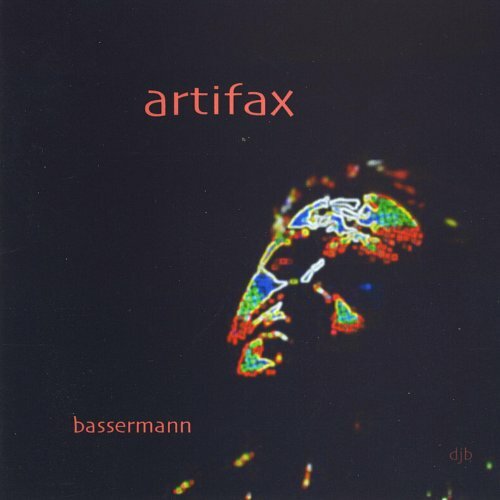 Synthesist/guitarist/singer Gerry Basserman is a graduate of the Eastman School of Music worked in San Francisco producing sound tracks for video and multimedia companies in addition to designing products and sounds for many electronic music companies. He worked for EMU systems for 7 years and Opcode Syatems for 6 years. He was a writer for Electronic Musician and he is presently at Propellerhead Software, a creative music and video software company. 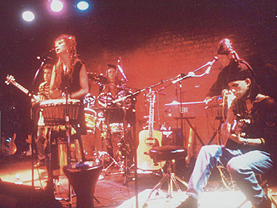 Percussionist extraordinaire Tina "Bean" Blaine is a founder of the popular multimedia ensemble D'CuCKOO. She has studied with master Senegalese and Congolese drummers, and recorded with Brian Eno and Mickey Hart. With a solid background in keyboards, percussion, and electronic marimba, Bean has composed music for television soundtracks ("The Making of The Abyss" and "Peanuts") and video games (Sega/Genesis). She has also appeared in international TV features. In the late 90's Haunted by Waters members moved on to other projects. Cait and David worked on a new project called Samsara's Edge. As a follow up to Like the Dust. No more concerts or albums from this legendary band! ...David Hannibal and Cait McWhir, co-founding members of the now defunct Bay Area band Haunted by Waters, announce the release of their CD and new project - SAMSARA'S EDGE. 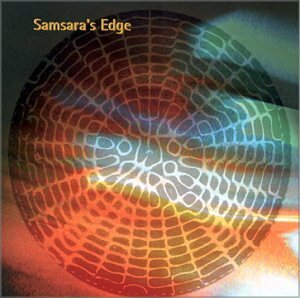 2 years in the making, Samsara's Edge was composed and produced by David and Cait in their East Bay Studio with the aid of David's studio wizardry. The 8 songs featured on the CD are an intriguing and beautiful blend of multi-textured electronic and hypnotic grooves & melodies with vocalist Cait McWhir's trademark blend of sensuous Mid-Eastern and Celtic influenced vocals adding a definite other-worldly feel to the mixes. 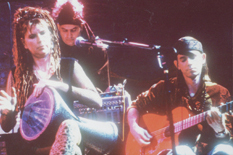 There's still a world music flavor to many of the songs, but overall it falls into the more ambient or even trip-hop categories. The consensus is that it's a beautiful journey into some of the places where Haunted by Waters left off!....." Instrumentation: Soaring Female Lead Vocals, Electric/Acoustic/Classical Guitars, Didgeridu, Keyboards, Programming, Bass, Electric Violin, Tin Whistle, Bodhran, Djembe, Fish'head, Finger Cymbals, Conch Shell, Alto Sax, Vir'cello, Drums, Congas, Dumbec, Udu, Baroque Flute & Processed Baroque Flute, Tabla, Bongos, Rainstick. All songs written produced & arranged by Haunted by Waters. 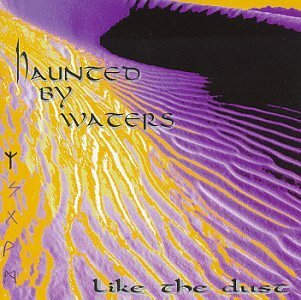 All songs published by Minerva Music/Haunted by Waters 1995. Production/Mixing - Mesa Recording, Sebastopol, California. Diana Maxwell for great managing, Stephen Hart (the wise & wonderful), X DOT 25. To all of you who contributed time & hard work to our songs: Stephen Schultz, Rhan Wilson, Cat Taylor, Jeff Obee, Jeffree Andrews. Aldoush Alpanian, Kenny at Mesa Studios, Dave at CRI, John Dalton, Candice Pacheco, Steve Boeddeker, Mike Freitas, Mackie Designs, Opcode Systems, Tascam, E-Mu Systems, Roy Finch at Sonos, Michael Marans, Terry Holgate, Magenta Crowe, Frank Giorgini, Matt Isaacson, Jeff Barbour, David's family, Vicki (& Biscuit). And of course we thank the invisible ones. The Great Spirit, the Muses & Ancestors who contributed magic from the other side. To M - you are the continuing inspiration in Cait & David's lives. Contact Haunted by Waters - or write to PO Box 5763, Berkeley, California 94705, USA. This song is based on a story in Irish mythology about the great Celtic warrior Lugh Lauve Fauda. He was known as the Ildana, the master of all crafts, and was said to have appeared on a white horse holding the lost Sword of Light. His mission was to deliver Ireland and the tribe of the De Danaans from the evil of the Fomor and Balor the one-eyed, which he accomplished aided only by a small band of warriors from the mythical land of Tir-Na-Nog. why we go so far away? or is it only for our souls to dream? inspired by the Macedonian folksong "Se Vradse Vradse Jalno Sonce"